TAPACHULA, Mexico, 24 October 2018 (UNHCR)* – When street gang members torched his family home in Honduras, 16-year-old Eduardo* felt he had no option but to run for his life. “When I saw our house burning I knew our number had been called, our luck had run out, it was time to flee,” he says. “I felt helpless, unwanted by any country. I thought they (Mexican authorities) would send us back, and then my real nightmare would start,” he recalls. Children of Central American migrants and refugees wait with their parents to apply for asylum at a checkpoint in Ciudad Hidalgo, Mexico. © REUTERS/Ueslei Marcelino | Photo from UNHCR. “Of concern to UNHCR at present is the developing humanitarian situation and the known kidnapping and security risks in areas the caravan may venture into,” UNHCR spokesperson Adrian Edwards told news media in Genevaearlier this week. UNHCR is also identifying those who are particularly vulnerable, counseling them on their best options. This has led to a few unaccompanied and separated children choosing to claim asylum in Guatemala. 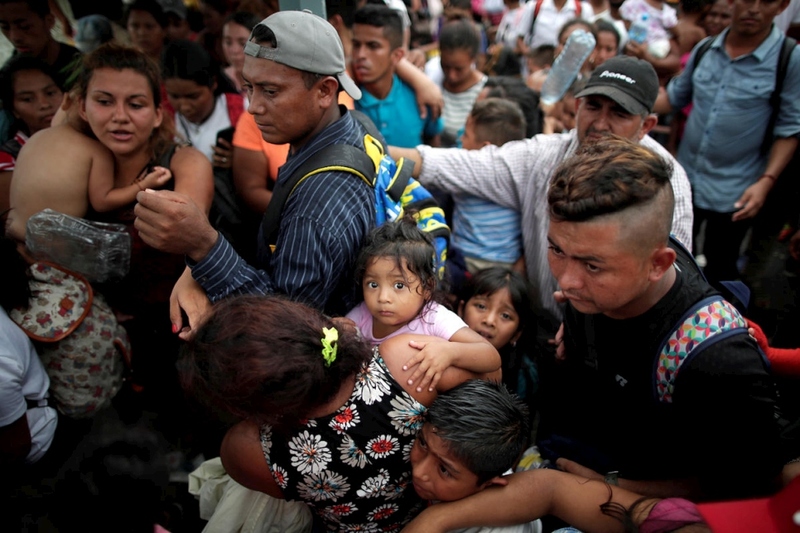 The UN Refugee Agency is also monitoring returns and deportations from Guatemala, to ensure that they are voluntary and respect the fundamental principle of non-refoulement.